It is common to come across a number of adverts online encouraging users to take surveys and get paid either in cash, gift cards or rewards. The surveys are usually hosted on a number of websites making them easily accessible for anyone seeking to fill them out in exchange for some sort of remuneration. In most cases, sites that pay cash are preferred but this trend is changing with the many online users signing up on sites that give rewards and gift cards instead. Since websites that reward in this manner are increasing in number, the opportunity to participate in such surveys has also increased and many people are seeking them out online. However, not every survey site that offers rewards or gift cards is genuine thus making it important to do some research before participating in their surveys. Some of the simple ways to find out whether a site is genuine or not is to read through online reviews that have been written by people that have interacted with it to see if they are positive or not. Prefer to get paid in cash? 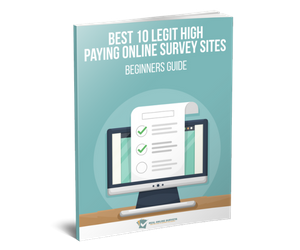 See this list of legitimate survey sites. MintVine is known for offering fun surveys that have been put up on behalf of businesses or various online users. The members on the site can fill surveys within thirty seconds or less and get rewarded with points that are then redeemed in form of gift cards. Majority of the gift cards offered are from Amazon and other well known shopping sites for the benefit of their members. Another advantage of signing up on this survey site is that new members are given one hundred points upfront, and another hundred for any extra information submitted in their account. Offer nation is a great site for those that want to earn high rewards for taking surveys as well other online tasks. The site offers a large number of free surveys that gives members an opportunity to make money on a daily basis. All they need to do is to pick the survey that they prefer, fill it out and submit as per the requirements. Apart from providing many surveys, the payment for submitted surveys is done quickly which is one of the benefits of signing up on the site. In addition, they have great support to ensure that members always get help whenever they need it when using the site. Many companies that are constantly developing new products or services look to Global Market to assist in market research. The site does their research through paid surveys where members get points for every completed survey. In most cases, filling out a survey on the site will last a maximum of twenty minutes resulting in gift cards from Wal-Mart and Amazon as payment. The value attached to these cards depends on the points awarded from the surveys filled. To make money from this survey site, you have to reside in countries such as Australia, Canada, United Kingdom and the United States. Another great online platform for getting gift cards for filling in survey sites is definitely Vindale. The survey site offers cards from Amazon whenever members express their opinions on daily issues through interactive surveys. It also offers members tools that they can use effectively to get their opinions heard on various products as well as services. Many companies use Vindale to reach out to their target market so that they can get valuable feedback. Getting rewards or gift cards through Opinion Outpost is possible for residents of Canada, United States and the United Kingdom. This site is quite popular because of its various payment options such as gift cards from Amazon for opinions given as part of their surveys. In most cases, the surveys cover current topics as well as recent products in the market that they would like to get opinions about on behalf of their clients. Other types of gift cards offered by Opinion Outpost as a form of payment include those from iTunes and Visa Prepaid among others. Majority of the surveys filled out on this site have to do with market research that assists executives with their business strategies. The opinions given in the surveys are very important and have to be thought through before submission. The reward for filling in the survey well is usually in form of gift cards from Amazon among other rewards. Gift cards from Amazon have different values, meaning that the more surveys done the higher the value attached to the card which will be beneficial to you. 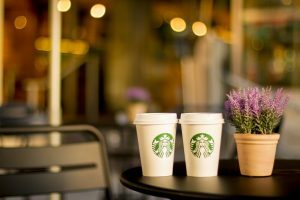 Many well known brands choose MyPoint as a platform to get feedback through surveys on their products. The site pays members whenever they answer questions that have been forwarded by the companies owning the brands. 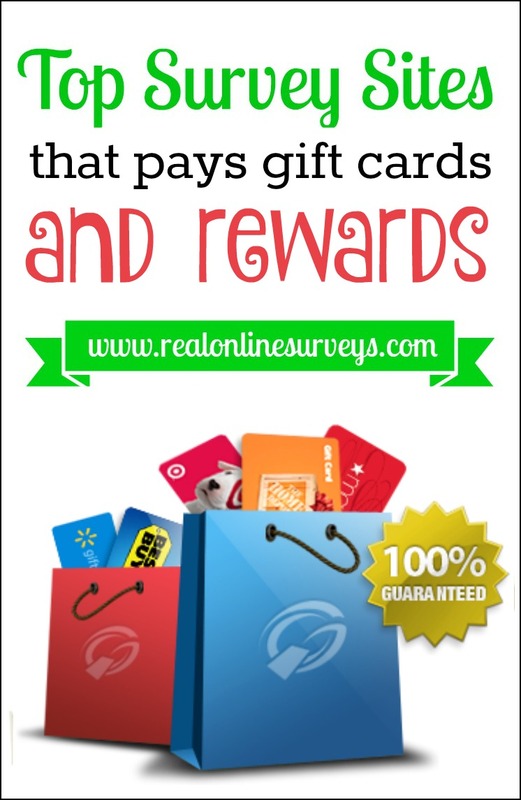 Surveys on the site are remunerated through points that are redeemable in form of gift cards as well as other rewards. Apart from gift cards, the points can also be exchanged for travel if preferred by a member on the site. Points2Shop is a leading survey site that offers a number of reward programs for those that fill out their surveys. The online community on this site is quite supportive and members can get help through their forum or chat area. Earning rewards through the site can be done anytime and anywhere as it offers members a mobile application that allows you to fill in the surveys through a variety of mobile handheld devices such as smart phones. The activities that can earn you gift cards from Amazon or reward points besides filling in surveys include online shopping, watching videos and playing games. If you are looking for a wide array of paid surveys, then Rewardways is the site to visit on a daily basis. The site, which has been existence for many years, offers new surveys everyday which means that members can make as much money as they want. Gift cards from different shopping sites such as Amazon can be acquired from filling in surveys as well as other activities such as e-mail submits, paid trials and paid downloads. 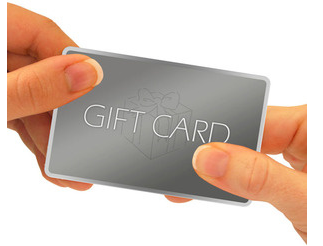 In most cases, the gift cards are given in exchange of points earned on the well known survey site. Tellwut is a unique survey site as it has been put up by a legal company as a way research. Signing up on the site allows members to give their thoughts as well as opinions for different clients. The information provided by those filling in the surveys is crucial for clients and that is the reason for the great rewards attached to them. Some of the gift cards offered on the site as payment includes those from Wal-Mart and Starbucks among others. In addition, members can get branded t-shirts when they earn a certain number of points on the site. All in all, the above sites are a good place to start if you want to get rewards or gift cards from completing surveys and other online tasks. Inbox Dollars Review: Get Paid to Take Surveys, Read Emails, and More!